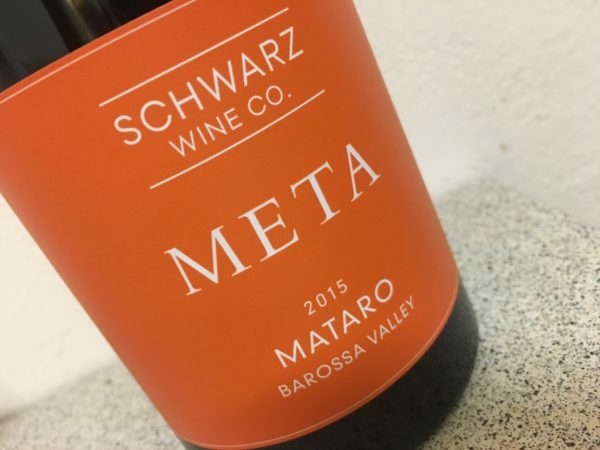 The evidence of just how good Barossa Mataro can be continues to mount. Looking into my crystal ball, I predict that, Grenache and Mataro are the future of the Barossa, with Shiraz a support player. This is another smart release under the Schwarz Meta label too. Sourced from Moppa and Vine Vale, this was handpicked and wild fermented, (with 27% whole bunches) and bottled unfined/unfiltered. Just 1300 bottles produced. Deep ruby coloured with a little purple, this has all of the limitless depth of classic Mataro but with more than just dry black fruit. Indeed there is sausage meat, licorice and leaf litter, leading a long and savoury palate of blackberry and game. Just when it looks a little too savoury, there is a blue fruit streak through the middle. Clever. Masterful texture too. Long, interesting and has more than enough fruit to stop it being dour. this is clever wine. It needs a bit more time to unveil more goodies, but the different shades here make this very attractive. I’m a fan. Best drinking: 2018-2030. 18/20, 93/100. 13.7%, $35. Would I buy it? I’d go a bottle of this for sure.